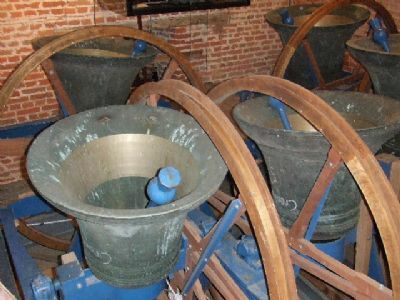 All Saints Church is fortunate to have a well-equipped bell tower with eight bells and a cheerful band of ringers. 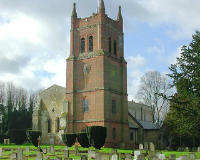 The bells can be heard every Sunday morning before the 9.30 service, and frequently ring for weddings and special occasions. We practise on Monday evenings from 7.30pm, and all are welcome to come along to find out more about this ancient tradition. 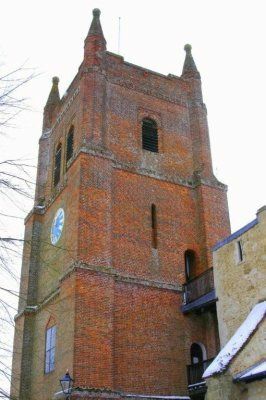 Bellringing is a non-competitive team activity that is highly stimulating intellectually and mildly demanding physically, and makes a beautiful sound. It develops mental and physical skills in a context of communal effort. Many people ring as a contribution to church life. 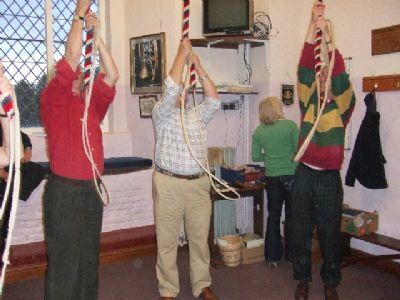 We are an active group at all stages of learning the art of ringing, and most enjoy the regular socialising that occurs after practice night. 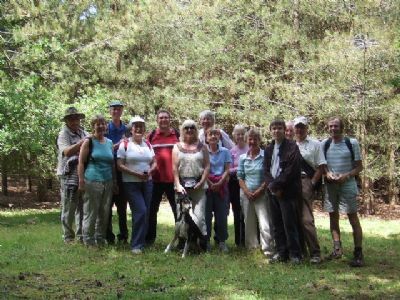 We also arrange other activities such as outings to other towers, walks, meals, bowling and so on. For more information come along to our Monday evening practice at 7.30pm or email us here crondalltower@gmail.com.